Pazham Pappadam Paayasam: Grand Easter special..
Soak the rice for at least 8 hours. Mix together yeast and sugar in ¼ cup luke warm water and set aside. Grind the soaked rice with cooked rice, shredded coconut, shallots and cumin powder in batches to a smooth batter. The consistency should be similar to idly batter. Add the yeast and mix well to combine. Allow to ferment for 8 hours. Prior to making appams, add a pinch of salt and mix well. Heat a non stick tawa on medium high. Pour a ladle full of the batter and allow to spread by itself. Cover with a lid and cook for 2 minutes or until you get a nice brown color on one side. Turn the appams and cook for another minute or 2 or till lightly browned. Serve hot with any curry of your choice. Heat (med-high) a heavy bottomed pan and add 1 TBSP oil. Once hot, add the chopped garlic followed by ginger and green chilly. Sauté this until raw smell is completely gone. Next add the sliced red onions and sauté till translucent. Once the onions turn to a light pink color, add the red chilly powder, coriander powder and turmeric powder. Saute this mixture well until the masala gets roasted. Now add in the sliced tomatoes and cook the whole mixture until tomato is cooked well. This will take about 3 minutes. Turn off the stove and allow the mixture to cool. Once cooled, grind this with 2 TBSP water to a smooth paste. Heat another deep bottomed pan at med high and add the cut and cleaned chicken. Add in the ground masala and mix well to combine. Add ½ cup water and cook this covered at medium heat until the chicken pieces are cooked well. You need to check in between and add if more water is needed, little by little until chicken is cooked and semi gravy is attained. Turn off the stove and set aside. Soak the rice for 30 minutes in water. Meanwhile melt ghee in a heavy bottomed pan and add the cinnamon, cloves and cardamom one by one and wait for a nice aroma to ooze out. Next add in the thinly sliced onions and sauté till they are translucent. At this stage add the ginger-garlic paste and sauté well for 3 more minutes. Now add the shrimp and mix well to combine. Once the shrimp becomes firm add the turmeric powder, red chilly powder, coriander powder and salt. Roast this mixture well and add the tomato paste. Sauté this till oil separates. Now add the soaked rice and fry for 3-4 minutes or until each grain is separated. Switch off the flame. Transfer the whole mixture to a rice cooker and add 3 cups coconut milk plus half cup water. Cook till done. Open and add chopped coriander leaves. Keep covered until ready to serve. WOW! 3 dishes in one post!! Adipoli easter menu annallo :) Fabulous pics! Happy Easter to you too..
Hi. Happy Easter. The kallapam looks so good, I wish I could sample it. HAPPY EASTER ......mughalai chkn adipoli....shrimp pulav looks delicious...try chaithu nokkanam......:)..
All the dishes making everyone drool.. perfect combos and yummy. 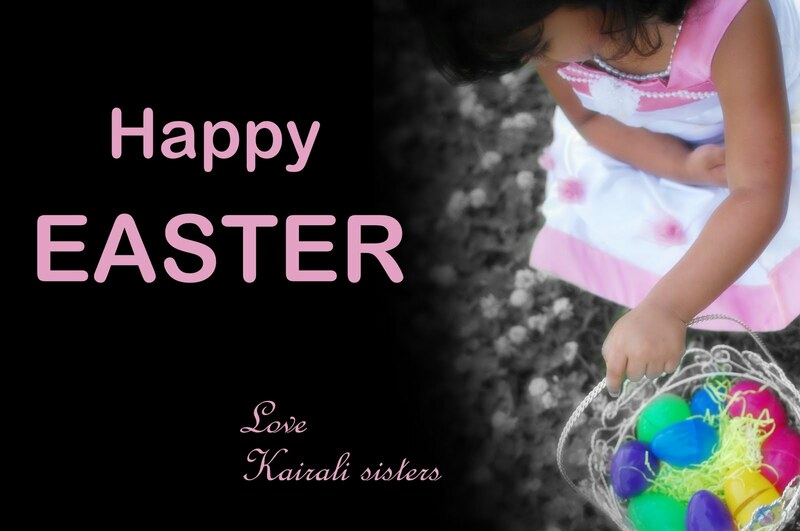 Happy easter !!! Happy easter to u too! Keep the good work on!! hmmm looks good..I am sure it tasted as good as it looks..
i hope i am invited for this delicious fare.Great blog.First time here,will c u more often. Awesome stuff........Easter special is fabulous. Hello from Italy! I found this blog and I really like your kitchen! Skip to us, we like to exchange cultures and recipes! I hope you like what we do! first time i am here i am so impressed..